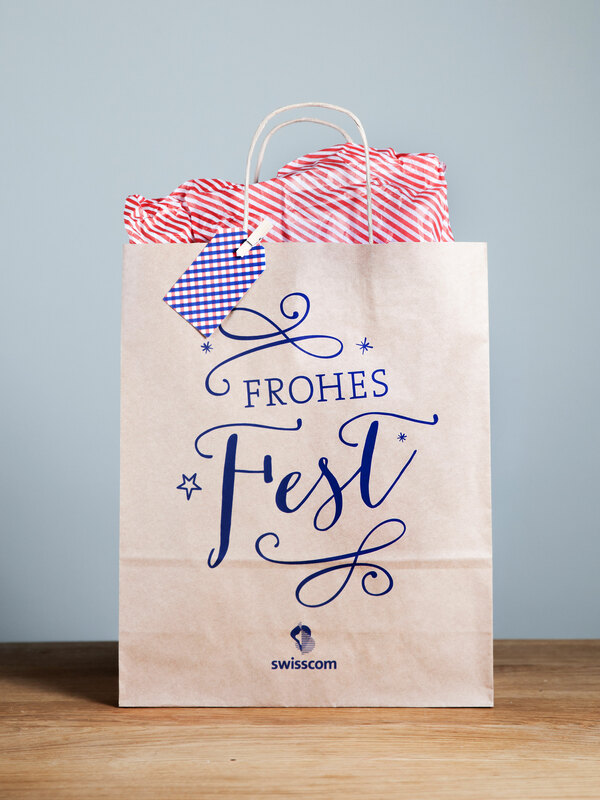 Swisscom usually praises itself with outstanding network coverage and the best offers on the Swiss mobile market. 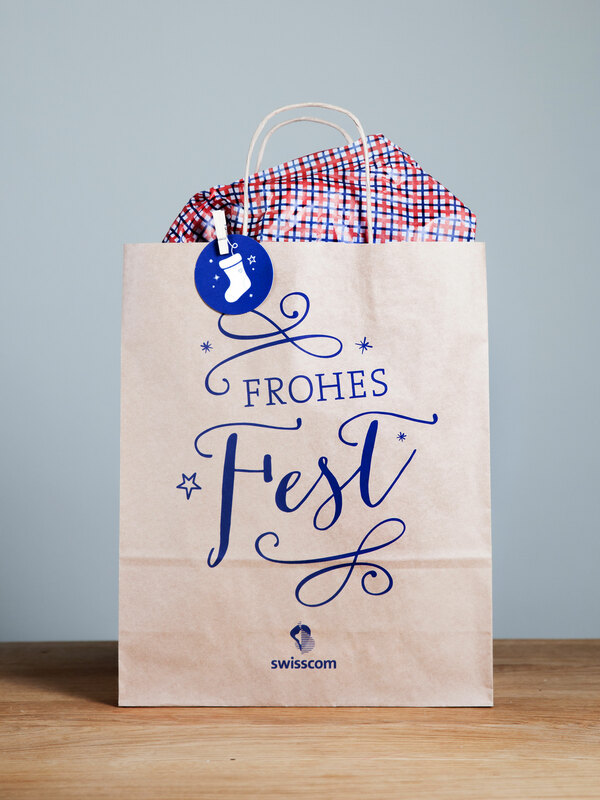 During the Christmas holidays, the company likes to go back to the roots and capture the festive spirit for their customers. 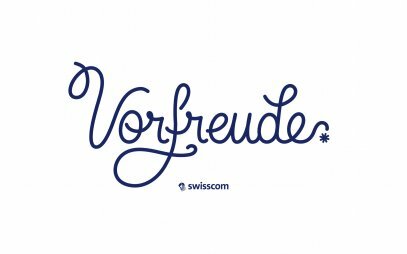 The leading telecommunication business in Switzerland has many customers – it is clear that Christmas time is also high season in the shops. 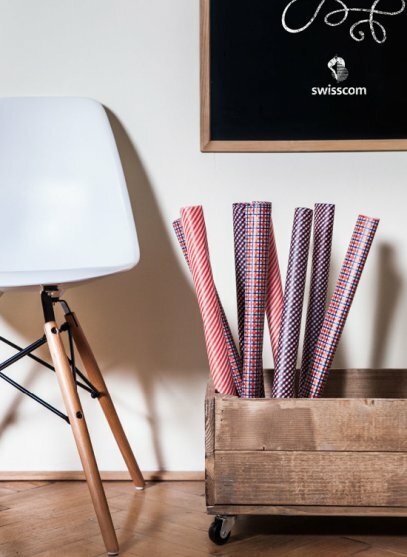 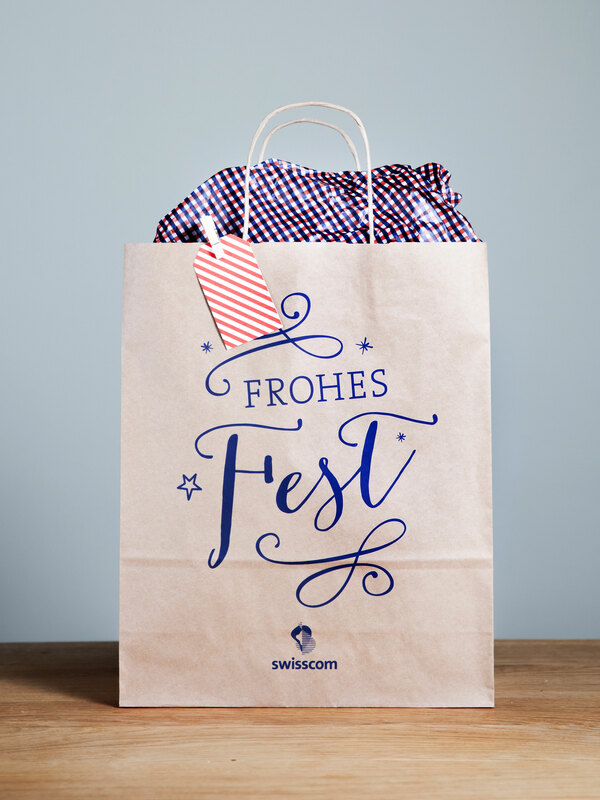 Swisscom wants to offer their customers only the best – also in stressful times. 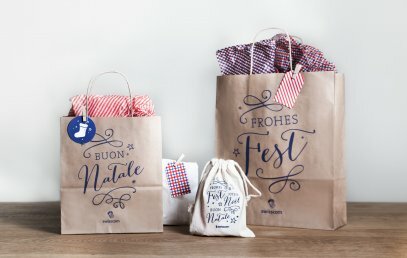 Therefore, they have slowed down and brought back the festive spirit into the pre-Christmas season – with gift wrappers and packaging in natural materials. 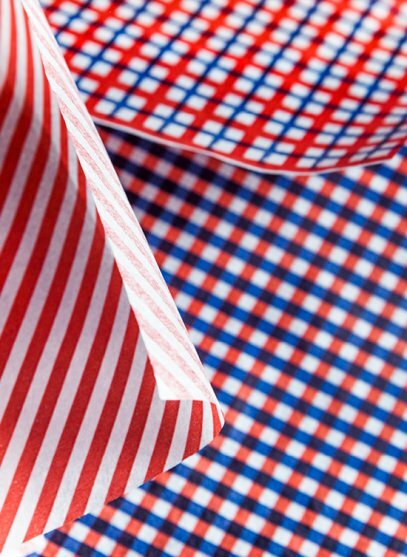 After all, not everything that glitters is gold. 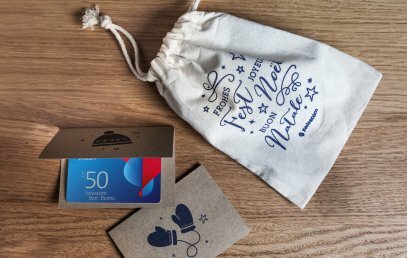 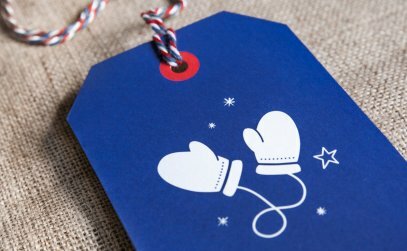 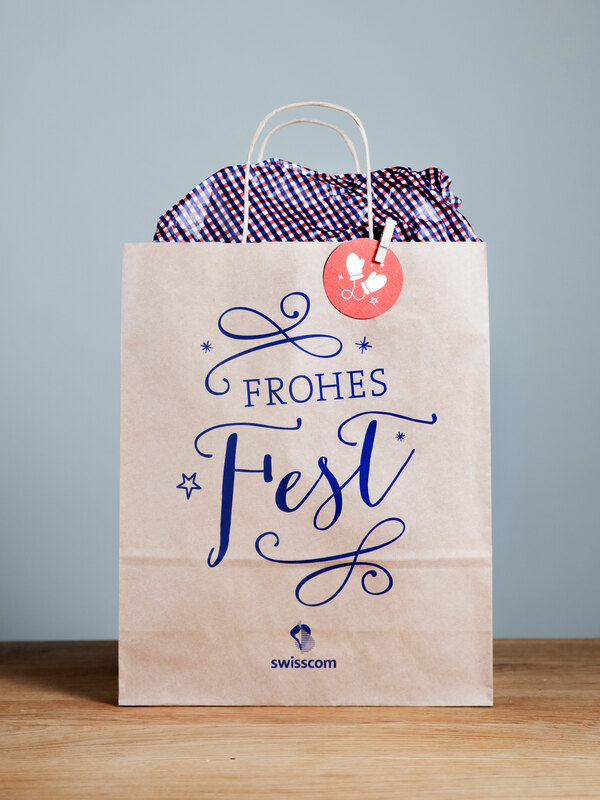 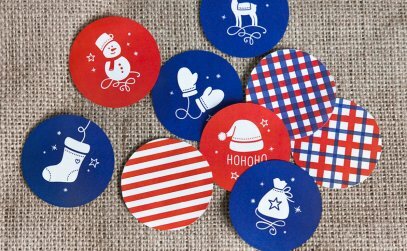 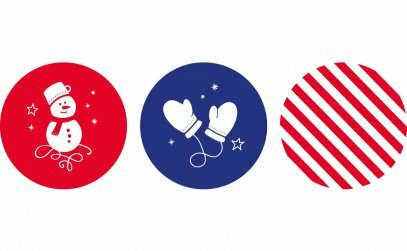 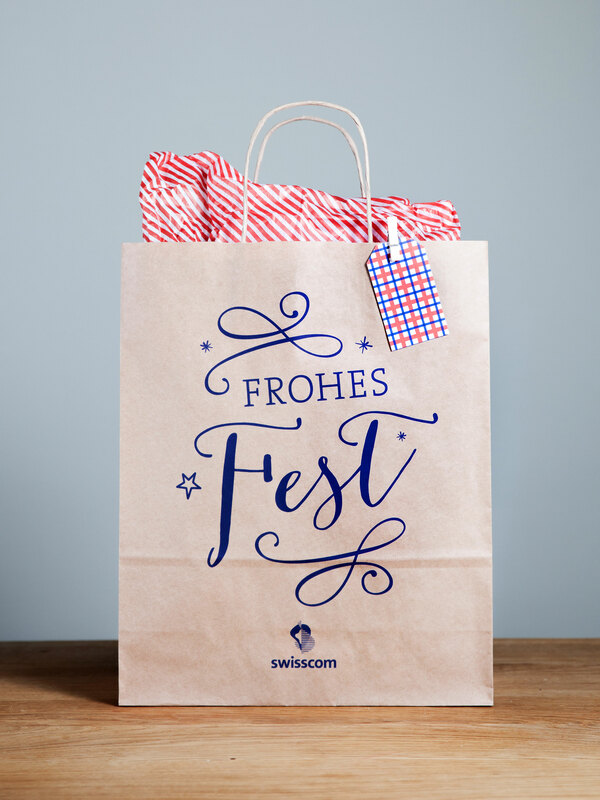 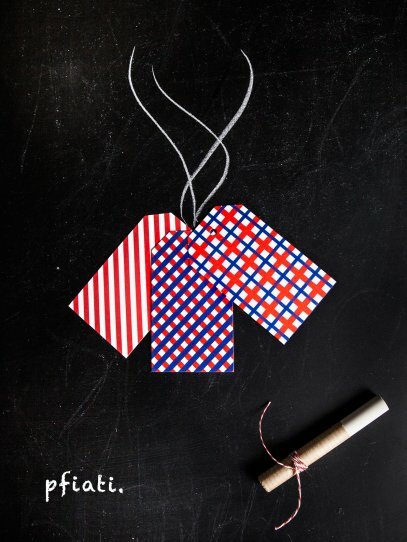 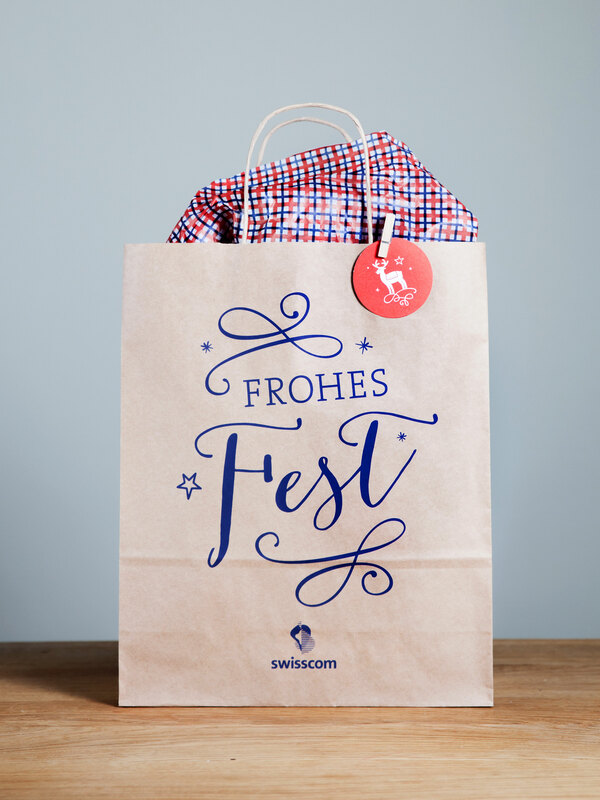 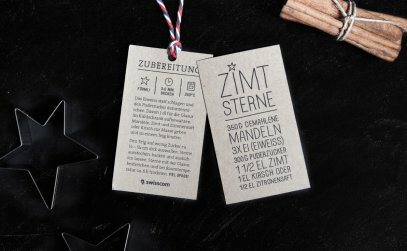 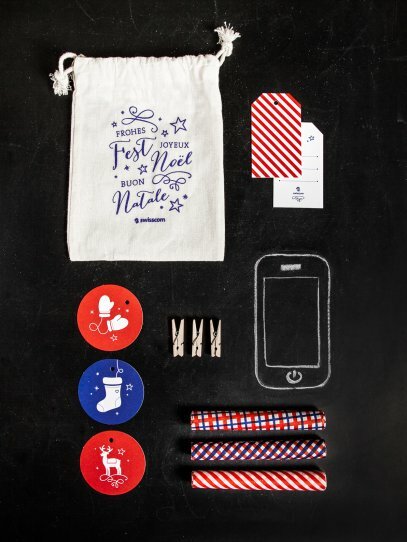 moodley brand identity brought the Christmas spirit to over 100 Swisscom Shops all over Switzerland and designed all the facets of the playful packaging. 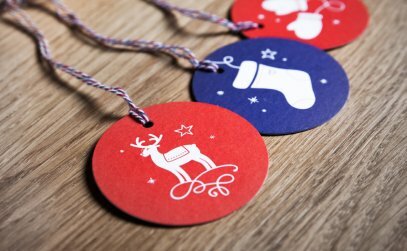 The idea: Pack the Christmas shopping into skillfully designed wrapping paper and accessorize it with tags and gift cards directly in the shops. 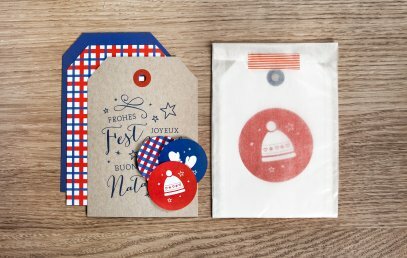 Inside the wrapping paper and next to beautiful tags and bags, the presents should now feel as at home as we do when sitting in front of the open fire.